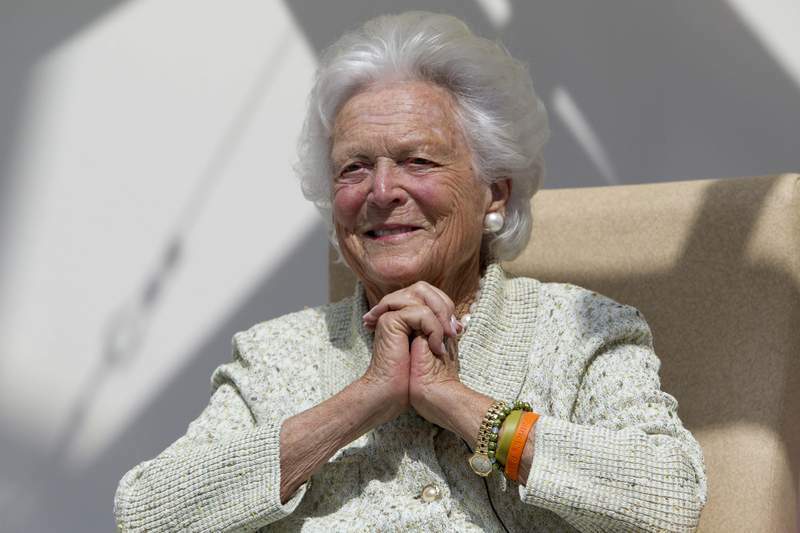 After several recent hospitalizations, Bush has decided to focus on care to keep her comfortable instead of additional treatment, the statement said. Barbara and George H.W. Bush received a standing ovation at the Super Bowl in 2017 shortly after both were discharged from a Houston hospital for different reasons. Barbara Bush had bronchitis. In October, she attended a benefit concert at Texas A&M University to raise funds for hurricane relief. Support and prayers for the Bush family flowed in, including from House Minority Leader Nancy Pelosi and Nikki Haley, the U.S. ambassador to the United Nations.